The 3rd September is Father’s Day here in Australia. I’m sure many dads will enjoy receiving cards, gifts, and maybe celebratory meals from their children. No doubt for many dads their sock or chocolate supply will be replenished until Christmas. With this wonderful celebration going on over the weekend, I would like to take the time to reflect on the priorities of a godly father. As the people of God, it is our privilege to be able to call the Creator of the universe Father. By calling God our Father reminds us that we are His children (Rom. 8:15; Gal. 4:6), that He provides for us (John 16:23; Eph. 1:3), and that He loves us (John 16:27). What a privilege! By God’s design and grace, He has made it possible for men to be fathers. Being a dad is a great privilege. 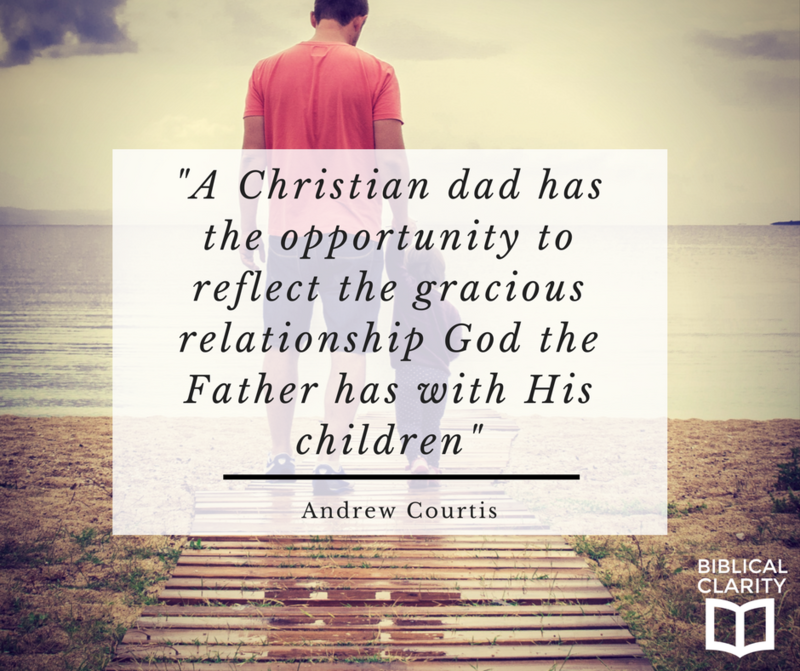 A Christian dad has the opportunity to reflect the gracious relationship God the Father has with His children. As an earthly father does this, he is entering into a role in which he is able to teach and instruct his children in the ways of the Lord. What are the priorities of a father? I would like to share two priorities: Submission to Christ and Shepherding his Children. I find it very interesting that we are told that Enoch “walked with God after he fathered Methuselah” (Gen. 5:22). It was as if this great responsibility of being a father awakened him to the priority of pleasing God. Being a father is a huge responsibility. Such a responsibility can only be carried effectively if a father is committed to the Lordship of Jesus Christ. A godly father is a man who knows the Lord Jesus Christ and submits himself to His authority. This act of submission forms and shapes the way the man will be a father. He will learn in the Scriptures what the Word teaches concerning character and conduct. A godly dad is a humble and holy man with a passion to honour Jesus Christ. The second priority of a godly father is his commitment to shepherding his children. The Scriptures command, “Fathers, do not provoke your children to anger, but bring them up in the discipline and instruction of the Lord” (Eph. 6:4). “There’s a crime wave going on in your neighborhood—possibly even in your own home. It’s a crime wave that won’t make it to the nightly news, but not because it isn’t serious, for it scars generations and teaches them to commit the same crime. Who are the criminals? Absent fathers. I’m not talking about full-time absent fathers, those never home at all. I hope that’s a rarity. I’m talking about your average dad, the one who commits this crime most mornings, during dinner, and especially during the hour before little ones go to bed. It’s a crime wave, and I’ve been an offender. You might be one too. You’re guilty when you skip breakfast with the family to prepare for that early morning meeting, when you’re distant at the dinner table because you’re resolving an issue at work in a long email conversation on your smartphone, and when you forfeit a healthy family night-time ritual because you’ve got something important to do—like write a blog post. With great clarity, Nathan goes on to write that fathers need to be intentional in committing to spend time with their children. Father’s have the privilege and the priority to invest in their children’s lives, love them, laugh with them, play with them, model Christ to them, pray with them, and to teach them the grand truths of God’s Word. This means that men need to give themselves to the priority of showing leadership in their homes by making sure that the Scriptures are being taught and that their children are being led in the way of the Lord. Dads, do you teach your children the Scriptures? We need to take time thanking God for the gifts of father’s but we also need to pray for them. Society is attacking the biblical role the father’s leadership. Pray that Christian dads will stand tall in an age of compromise and lead their families with biblical conviction. Happy Father’s Day dads. Great input. Found this message to be vey helpful and authoritative. Much appreciated.